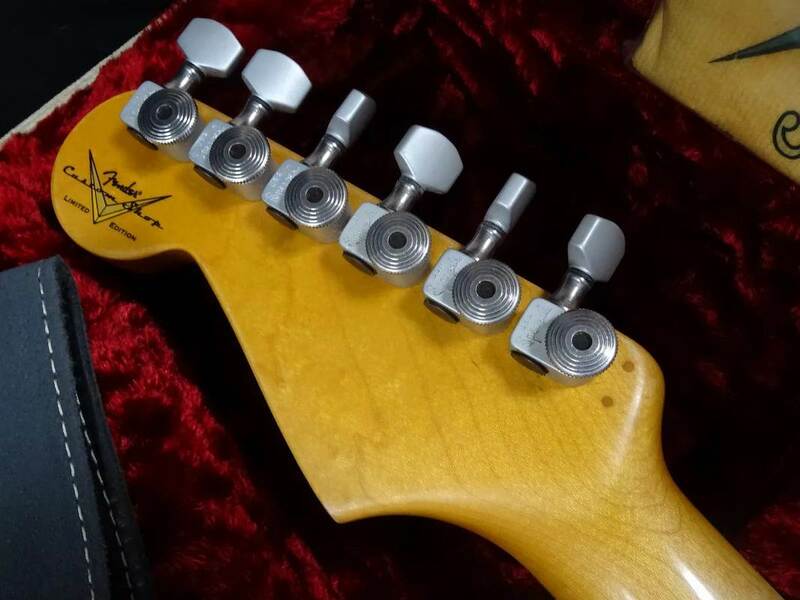 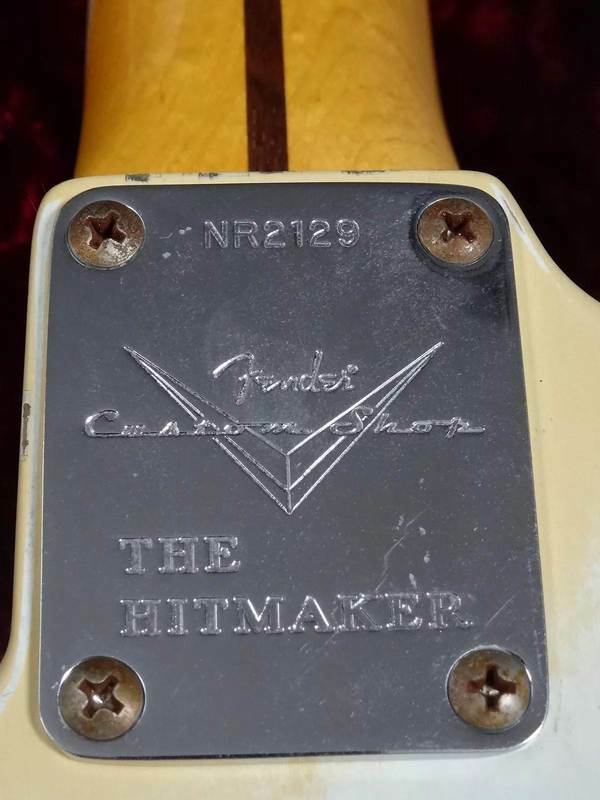 Neck Plate: 4-Bolt, Custom Shop V Logo "Fender", "THE HITMAKER", Serial "NR"
Heavy Relic Finish. Shows Natural Wear and Tear of Years of Heavy Use, Nicks, Scratches, Worn Finish Rusty Hardware and Aged Plastic Parts. 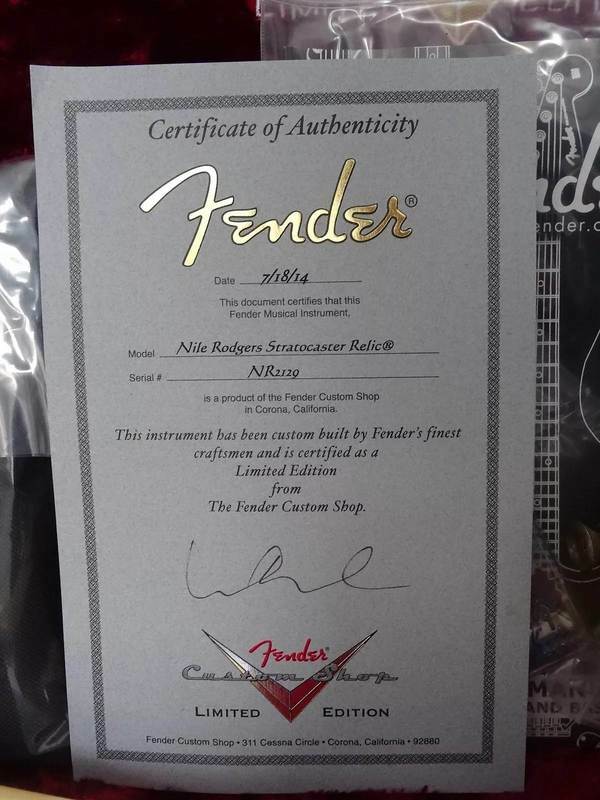 The Fender Custom Shop is proud to introduce the limited edition Nile Rodgers Hitmaker Stratocaster guitar. It's a very special recreation of the Hitmaker-the well-worn 1960 Stratocaster played by Chic co-founder and revered session ace Rodgers on countless chart-topping songs. Rodgers' affectionately nicknamed Hitmaker is a 1960 Stratocaster with a 1959 neck. 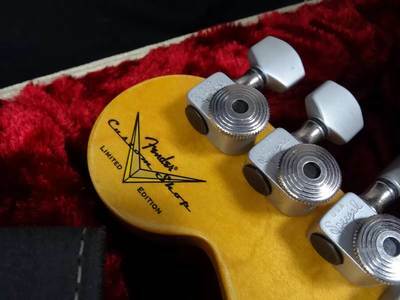 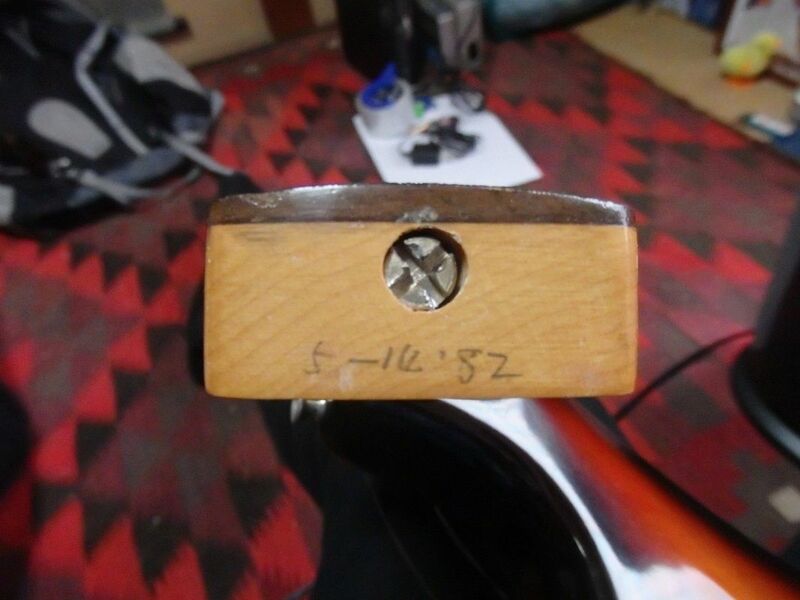 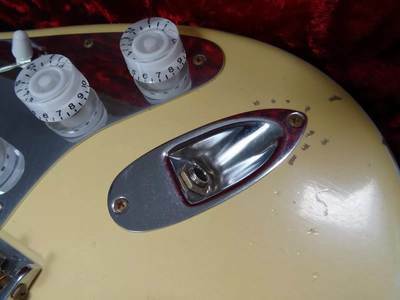 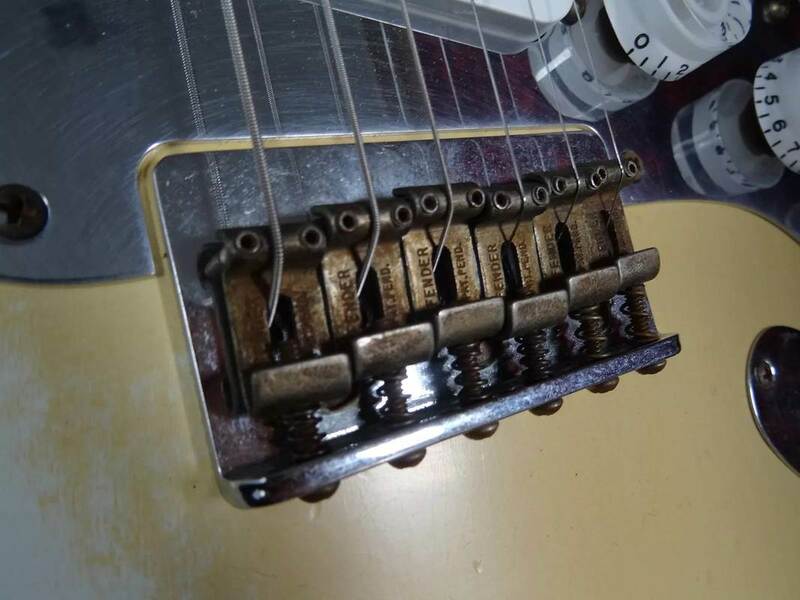 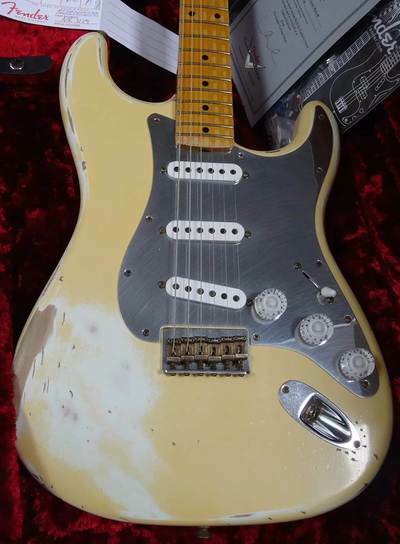 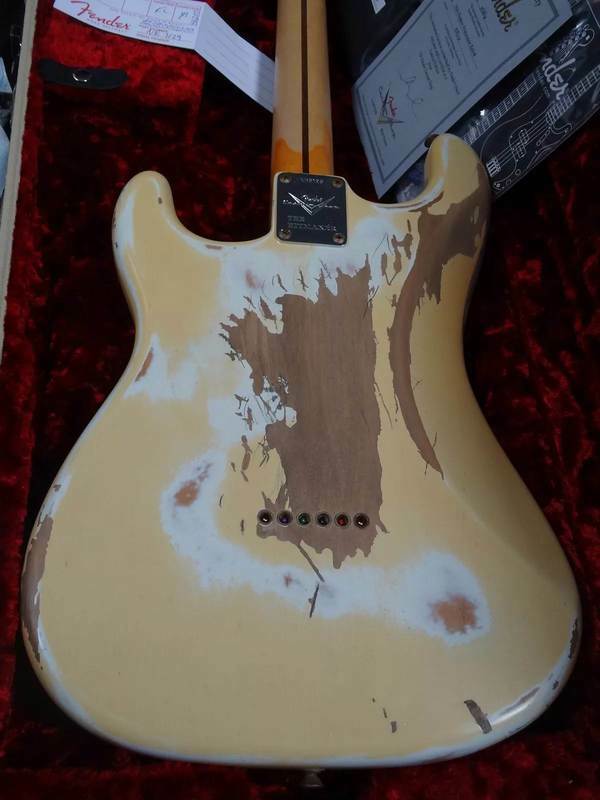 He got it for a trade-in long ago at a small shop in Miami Beach, Fla. Exceptionally light in weight, it has a maple fingerboard and bears a well-worn white finish. 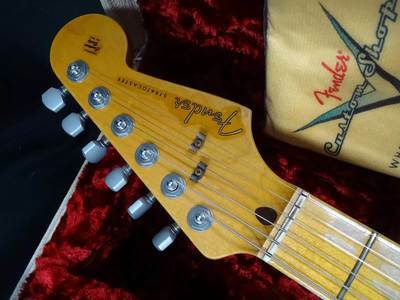 Rodgers says it doesn't sound like any other Stratocaster in the world. 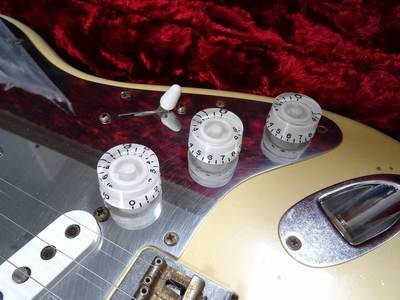 The Fender Custom Shop Nile Rodgers Hitmaker Stratocaster features a light alder body and one-piece straight-grain maple neck, with a 9.5-radius maple fingerboard, 21 6105 frets, three Custom Shop 1969 single-coil Stratocaster pickups, five-way switching, chrome-plated brass pickguard, three white speed knobs, vintage-style hard-tail bridge, locking Sperzel tuners and a worn Relic lacquer finish in Olympic White.